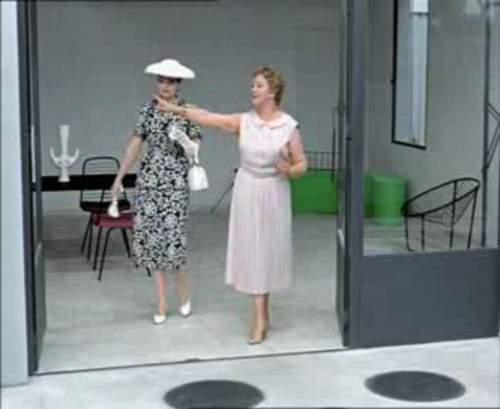 Jacques Tati’s 1958 film comedy Mon Oncle is a portrait of a dimwitted traditionalist’s impotent crusade against modern design, architecture and machine processes, while at the same time being a pointed critique of the utopian consumerism of modernism and the modern era. 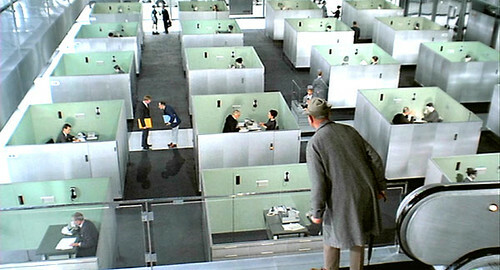 The interiors are fantastic – the film was mostly shot in a set entirely built from scratch by painter Jacques Lagrange. Lagrange’s father and brother were both architects, which is not surprising. 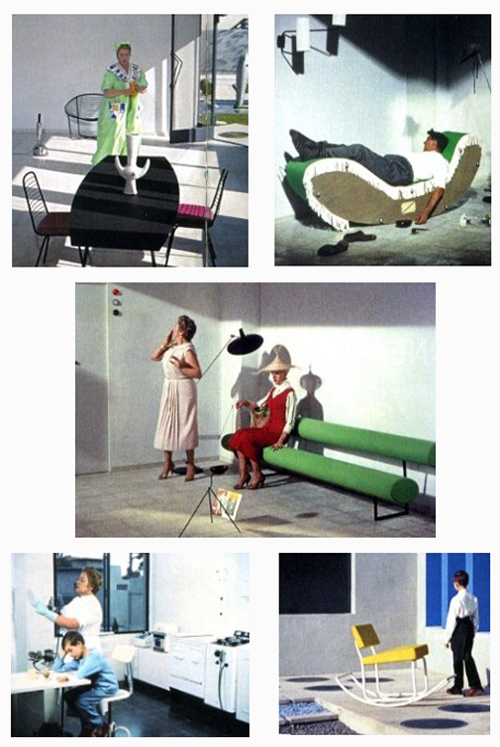 Modern interiors and buildings have featured heavily in cinema, and you can find endless discussion threads and articles on that topic at pushpullbar, archinform and archined. This post is inspired by backgarage‘s great posts on film interiors in Igby Goes Down and Clockwork Orange. Below is an amazing video of the complete rebuilding of the Villa Arpel set for a recent exhibition. This entry was posted on Wednesday, March 25th, 2009 at 3:33 pm	and is filed under design. You can follow any responses to this entry through the RSS 2.0 feed. You can leave a response, or trackback from your own site. Can’t say that I’ve ever really found Jacques Tati, or French comedy in general ‘funny’, but perhaps I am just an English philistine. But I did like the sets from this movie, though I’m wondering if some of the furniture was made to appear intentionally crude and uncomfortable, was that perhaps part of the joke? The bright yellow rocker with the white metal frame looks particularly bizarre and badly thought out as a functional design piece. I think the cartoony, contraption-like quality of the furniture and set must be intentional, though I do actually love that tubular green couch. And I completely agree, there’s something situational about the humour rather than language-based (the language is deliberately indiscernible in the film, actually) and those of us from UK backgrounds tend to like something a lot more dry. I love the set, though; there’s something fascinatingly airless and artificial about it, and it captures the mood of that “the house is a machine” modernist credo. Somehow for me it stands in for what is both good and bad about modernism. And the way Tati relates the domestic architecture with the new cubicled office architecture attaches a social or political tone to an era of design that has been all too de-politicized, and I liked that. Of course the sets and furniture were designed to be cold and uncomfortable. Tati was lampooning modernism. Of course, the designer didn’t have to work very hard to achieve that effect since it’s inherent in modernist design. Yes! 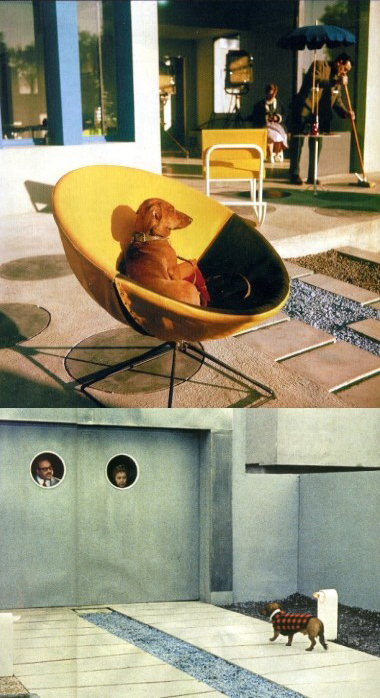 Though modernism was not so monolithically uncomfortable as its detractors say. It varied. Many of the modernist house layouts, and much modern furniture, are actually more livable and comfortable, respectively, than their predecessors. Of the eclectic mix of stuff in my house, it’s the modern chairs people fight over – wider, more spacious, more comfortable – not the Edwardian ones. And my modern chairs are not even Eames, which remain some of the most comfortable, ergonomic chairs you can find. As for interiors, if you compare modern interiors in Vancouver with the local Edwardian/Victorian/ Queen Anne interiors, it’s the modern which a lot of people now find more comfortable. The latter often feature cramped, dark rooms with minimal natural light, draftiness, and poor heating systems, they are often forbidding with dark dens and can be harder to clean. Their layouts make it clear that men could get away from the domestic drudgery that women were involved in and children were out of sight and out of mind – the room flow shows all sorts of compartments representing archaic or at least unfair divisions of labour. Ugh. The first thing people tend to do with these houses is modernize them, knock out interior walls and make them less rabbit-warreny and more open plan, put in as many skylights as code will allow, and update and streamline the kitchen and bathrooms. I think distaste of the modern and the new is often supported by the argument that the modern is uncomfortable, but I’m not sure this argument always holds and sometimes (not in your case, I’m just speaking generally) it’s conservative. 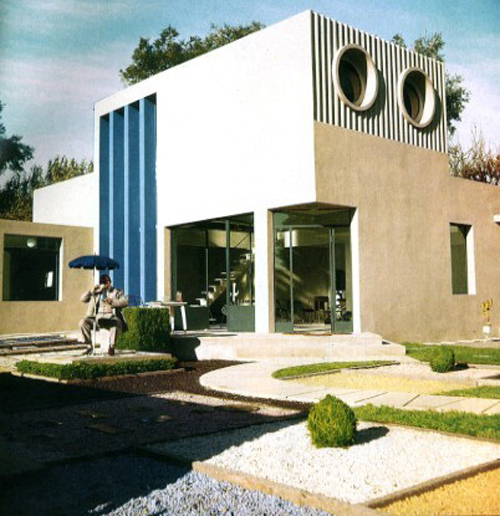 Of course many modern house techniques have improved since the 50s, when conceptual ideas often triumphed over practicality. But the innovations were part of a larger social experiment in changing the way we lived, including family structure and behaviour. I too am generalizing. And Queen Anne, around my neighbourhood, is not actually the worst of the older designs, though I would say that its humbler incarnations (the cottages around here) are probably not as nice as the fancier and beautiful redstone you describe. As for the dichotomy between comfortable and fashionable, I take your point, but I guess I’m not really thinking about fashion, which is always a problem – because in many cases fashion means that function follows form. Shouldn’t good design ideally be all of these things: classic, pleasing to the eye AND comfortable? The eye wants to be comfortable as well. But at the risk of stating the obvious, people are really different; some are more tactile, some more visual, and this accounts for the entirely different priorities you see in interiors. There’s also the question of minimalism vs. maximalism in interiors – and many other differences between people in taste and function, all of which have their justifications. And I know what you mean about location. It’s probably more important in the long run than all these other things.